In my quest to control the ingredients and the cost of the food I put on my family table, I have developed these chicken nuggets. I used to buy the Applegate brand, but could no longer justify the suspect ingredients and $6.99/box price. Besides, I’ve never been comfortable with chicken nuggets. Tell me, what part of the chicken does the nugget come from? This recipe took some trial and error. I tried many versions of cutting up chicken and marinating it, but I just couldn’t get the flavor and texture right. Finally it dawned on me. I had to grind the chicken meat and treat it like a meatball to get the proper texture and flavor. This might seem like a lot of steps, but they are simple, and you can make a very large batch to freeze. These nuggets freeze very well. You can pull several out and place them right in a preheated oven. It’s worth the time. It will save you a lot of time later, and you will feel so good about making and serving these to your family. How could you not want any less than the best for these two? Start with placing a large pot of water on the stove. Bring the water to a low simmer, and add 1 Tablespoon of kosher salt. You will need 2 pounds of ground chicken. You can either grind it yourself or buy it ground. I like to know what’s in my ground meat. If I’m shopping at a large supermarket, I’ll buy the chicken and ask the butcher behind the counter to grind it for me. I will also buy ground chicken and turkey from the counter at places like Earthfare, Whole Foods, or The Fresh Market where I know they grind it in house. Place the meat in a stainless steel bowl and add the seasonings: 2 Tblsps tamari soy sauce, 1 tsp Diamond Krystal kosher salt, 1 tsp black pepper, and 1/2 teaspoon onion powder. Mix well until all of the seasonings are evenly distributed throughout the meat. Form the meat into quarter sized balls. I like to use a tablespoon for measuring. Tip: If your hands are wet, the meat won’t stick to your hands. Form the balls and gently drop them into the simmering water. Once you have all of the meatballs in the water, wait another couple of minutes until all of the meatballs are cooked. Transfer the meatballs with a slotted spoon to a sheet pan lined with paper towels. Allow the meatballs to cool completely. In the meantime, you can prep the breading station. I use three pyrex casserole dishes. 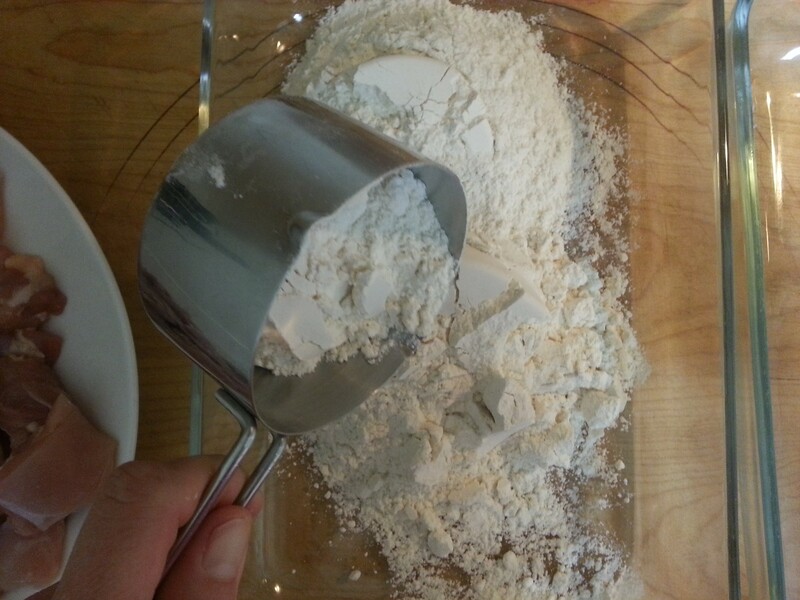 In the first dish, measure 1 1/2 cups of a-p flour. 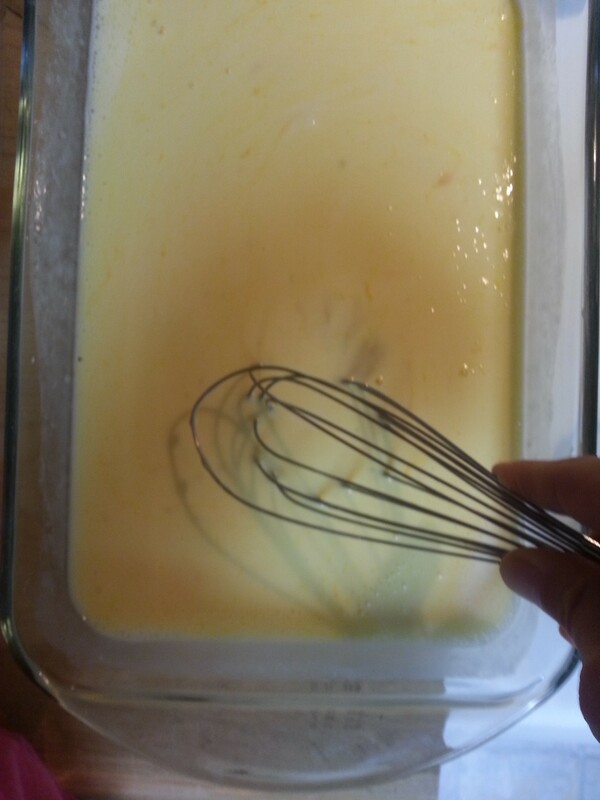 In the second dish, whisk together 3 eggs and 1 cup buttermilk until well combined. In the third dish, measure 2 cups panko bread crumbs, 1 Tblsp Diamond Krystal kosher salt, 1 tsp onion powder, 1 tsp garlic powder, and 1 tsp black pepper. Stir mixture with a whisk to distribute the seasonings throughout the breadcrumbs. Now the breading station is ready. Once the meatballs are cooled. First, coat them in the flour. Lastly, coat the meatballs in the breadcrumb mixture. Place the breaded meatballs on a sheet pan lined with parchment paper in a single layer. Once all of the nuggets are breaded, place the sheet pan in the freezer. Once the nuggets are frozen, transfer them to a freezer bag. Keep the nuggets in your freezer for up to two months. Before dinner time, preheat the oven to 375 degrees. Pull however many nuggets out of the freezer that you might need. Place on a parchment-lined sheet pan. Cook for 15-20 minutes until golden brown. Your kids will love them (and so will you)! 1. Place a large pot of water on the stove. Bring to a low simmer, and add 1 Tablespoon kosher salt. 2. Place ground chicken in a stainless steel bowl. Add soy sauce, 1 tsp kosher salt, 1 tsp black pepper, and 1/2 teaspoon onion powder. Mix well until seasonings are evenly distributed throughout meat. 3. With wet hands, form the ground meat mixture into quarter-sized balls. Measuring with a tablespoon helps to keep the size consistent. 4. As you form each ball, gently drop it into the simmering water. 5. Once all the balls are in the water. Wait another two minutes until the balls are cooked. 6. Using a slotted spoon, transfer the meatballs to a sheet pan lined with paper towels. Allow the meatballs to cool completely. 7. While the meatballs are cooling, set up the breading station. 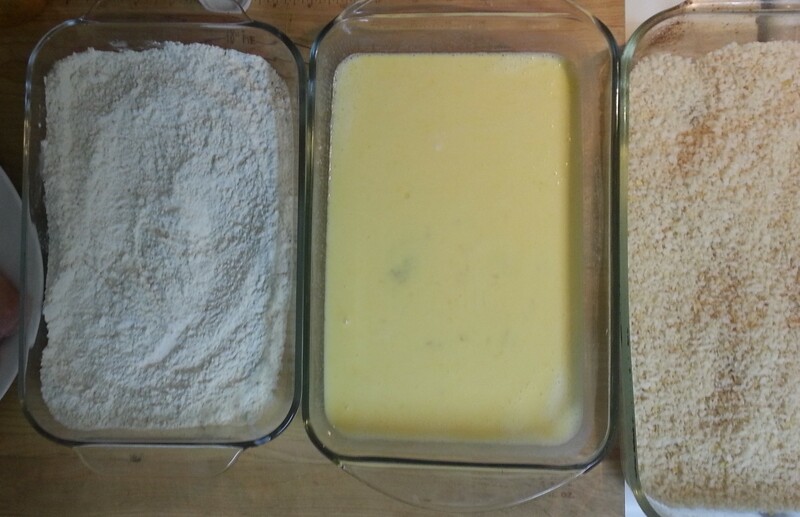 Use three baking dishes or bowls. In the first dish, measure the a-p flour. 8. 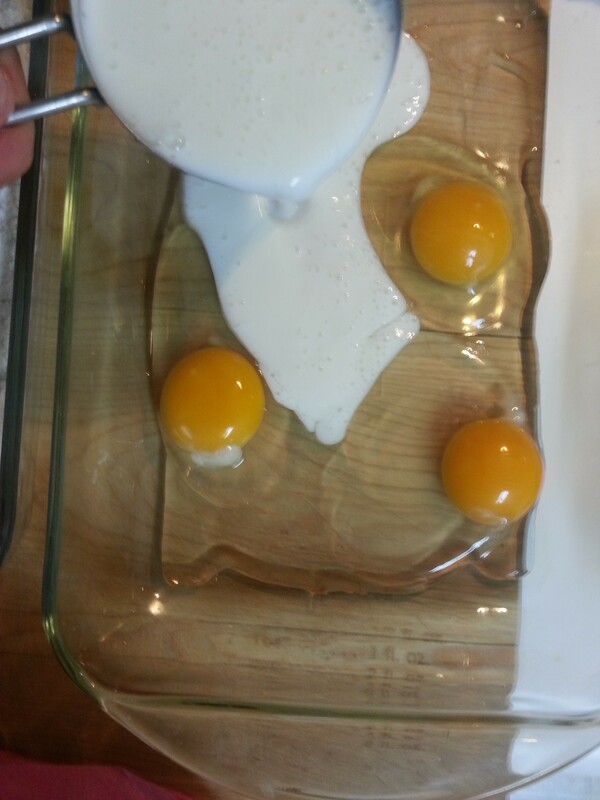 In the second dish, whisk together the eggs and the buttermilk. 9. 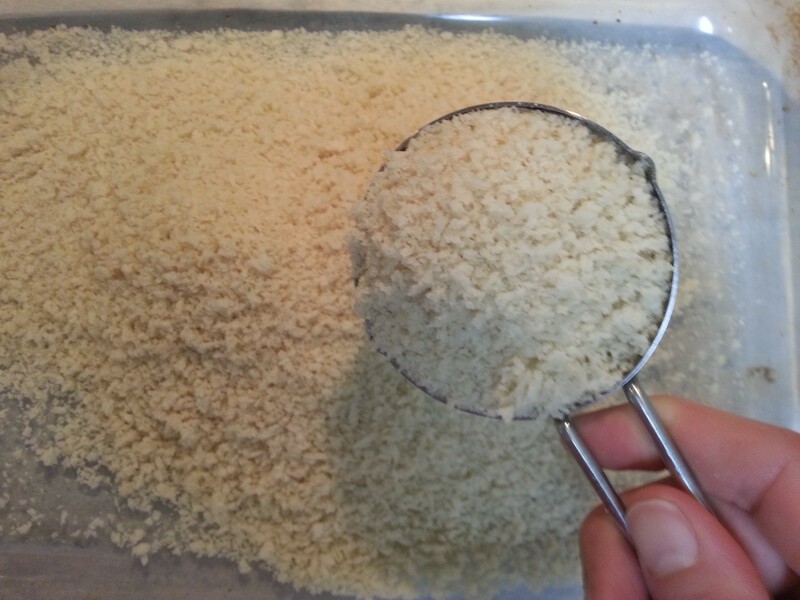 Lastly, in the third dish, measure the panko bread crumbs, the garlic powder, and the remaining kosher salt, pepper, and onion powder. Stir with a whisk to combine. 10. Set up the dishes in a row. Coat each meatball first with the flour, the egg, and lastly the bread crumb mixture. 11. Place breaded meatballs on a sheet pan lined with parchment paper in a single layer. 12. Place the sheet pan in the freezer. Once the nuggets are frozen, transfer them to a freezer bag. Store in the freezer for up to two months. When you are ready to enjoy some chicken nuggets, preheat the oven to 375 degrees. Pull out as many nuggets as you need. Place them on a sheet pan lined with parchment paper. Cook in the oven for 15-20 minutes until golden brown. This entry was posted in Uncategorized on June 23, 2013 by Katie Fiore. I just love Asian food. The combination of bold flavors of spicy, salty, sweet, and sour are so satisfying. My favorite go to dinners involve throwing all sorts of veggies, chicken or tofu, and maybe some rice noodles or brown rice into a rich chicken stock; or wrapping them up in some rice paper or a large lettuce leaf. My favorite summer go to potluck item is some delightful summer vegetable and herb spring rolls with a pungent dipping sauce. These spicy chicken lettuce wraps were inspired by those, and by a need to use up some leftover cooked chicken in my fridge. Aside from chopping some veggies, they are simple and easy to prepare and require no cooking. The only calories I count in these come from the chicken and the soy/vinegar dipping sauce. The calorie count comes in at 43 per roll!!! If the chicken and veggies aren’t enough for you, feel free to slip some cooked rice noodles or rice into your rolls. Enjoy this low calorie, gluten-free, delicious, warm weather dinner! Start by preparing your chicken. You could use a supermarket rotisserie chicken. Pick the chicken off of the bone and shred, being careful to remove all tendons and fat. Once you have your chicken prepared, set aside. Next, prep your veggies. I like to start with some nice fresh greens. Here, I’ve used arugula and baby spinach. Lettuce mixes work well, too. Be sure that your greens are thoroughly washed and dried. Mix the greens with three cups finely shredded cabbage. My favorite is savoy cabbage, but any kind will do. Just make sure you chop it very finely. Next, cut some peppers into a matchstick size or julienne. To get a nice small matchstick size, it helps to remove the membrane of the pepper. I like to do this so I don’t have big honking pieces of pepper, but I slice the membrane into matchsticks and add it into my mix, so I don’t waste. Next peel and cut about 4 small carrots into the same matchstick size. I find these “T” style peelers essential to prepping vegetables. They work way better than the straight kind. Once your vegetables are cut, set aside. Herbs are essential to the flavor profile of this dish. Be sure to was your herbs, spin them in a lettuce crisper, and drain on paper towels. I use two parts cilantro to one part basil to one part fresh mint. Finely chop the herbs. If you gather the herbs into a tight ball or cigar shape, it makes it a lot easier to chop them fine. Add the herbs to the bowl with the greens and toss well to combine, set aside. Now you are ready to make the sauce. Start with soy sauce. I like to use a nice tamari because it’s gluten free. Pour 1/4 cup into a bowl. Pour half a cup of rice wine vinegar into the same bowl with the soy sauce. Be sure to use the kind that is unseasoned. Finely chop two teaspoons of fresh ginger and add to the bowl. Finely chop a large garlic clove and add to the bowl. Lastly, add either 2 tsps hot chili paste or a finely chopped fresh serrano or jalapeno chili, and the juice of one lime to the sauce. Stir to mix well. Now, gather some fresh, somewhat large lettuce leaves. I recommend Boston lettuce because it is the most tender, but green leaf or romaine will work too. Gather all of the ingredients or mis en plas together. Isn’t it beautiful? Now you are ready to eat. Have your guests assemble each roll and dip as they go along. It’s a fun and interactive dinner. To assemble each roll, start with a lettuce leaf. Add about 1/2 cup of the greens and herb mixture. Next, add two or three each of the carrot and pepper sticks. Lastly, add about 1/8 cup of the prepared chicken. Roll it up and dip away. Delicious! 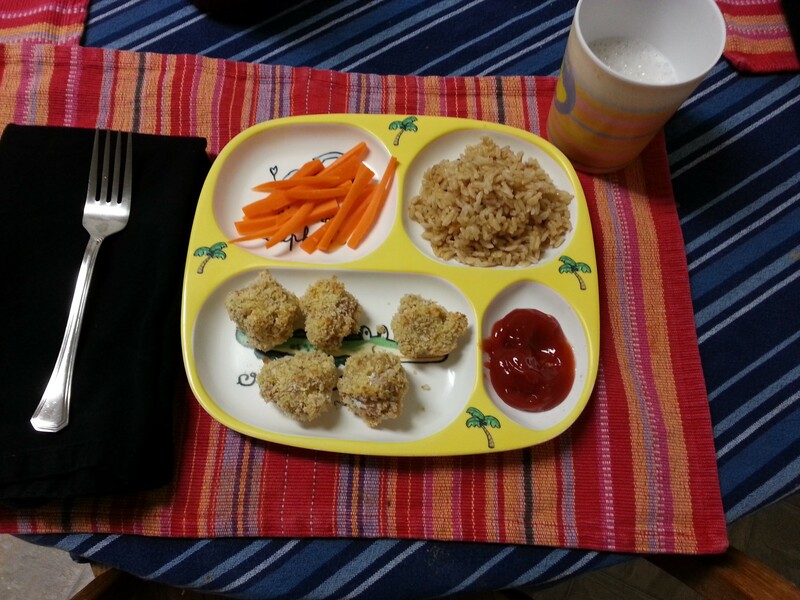 Easy, simple, tasty, gluten-free, and only 43 calories/roll = excellent summer dining! 1. Place the greens and the shredded cabbage in a large bowl, mix to combine, set aside. 2. Place the matchsticks of red pepper and carrot on a small plate, set aside. 3. Add the chopped herbs to the bowl with the greens and cabbage and toss well to combine, set aside. 4. Make the sauce. Add the soy sauce, rice wine vinegar, ginger, garlic, chili paste or chilis, and lime juice to a small bowl and mix to combine. 5. Set out the prepped vegetables, bowl of greens, cabbage and herbs, prepared chicken, and lettuce leaves with the dipping sauce on your dining table. 6. Assemble the wraps as you eat. To assemble: take a lettuce leaf, top with about 1/2 cup of the greens and herbs mixture, about three each of the red pepper and carrot matchsticks, and lastly, about 1/8 cup prepared chicken. Roll up into a big cigar, and dip into the sauce. This entry was posted in Uncategorized on June 2, 2013 by Katie Fiore.